Oh Monday Monday, how could you leave and not take me? 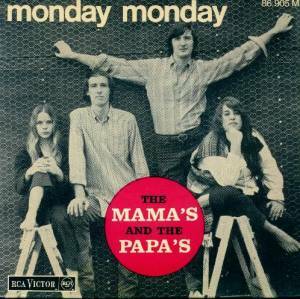 "Monday Monday" is a song by The Mamas and The Papas from 1966. In 2015, Beck appeared at a tribute concert to the '60s Los Angeles folk rock scene. He sang a couple of songs by The Byrds with Jakob Dylan. The concert ended with an encore of "Monday Monday," and Beck, Jakob Dylan and Regina Spektor all sang lead together. The concert was ostensibly a prelude to a 2016 tribute CD as well. They announced that the album was coming, even putting out one of Cat Power's contributions as a teaser, but the album (or Beck's recordings) have yet to come out.